Nashville-based band Judah & The Lion have spent the majority of 2018 selling out concerts in cities across North America on their Going To Mars tour. On Friday, the genre-bending group made their highly anticipated return to Toronto for a show at the Phoenix Concert Theatre. 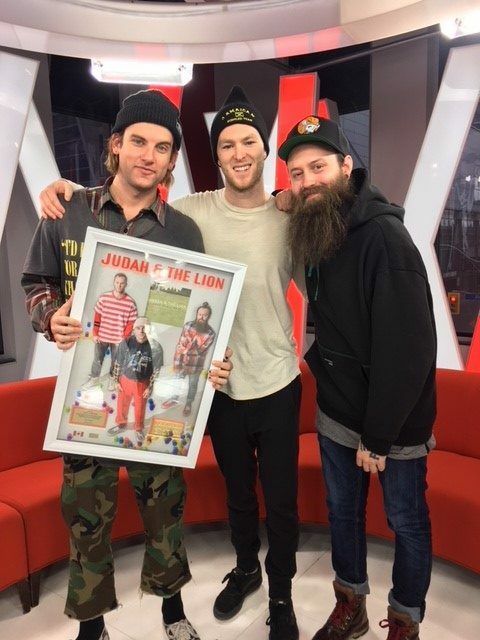 During an interview with etalk’s Devon Soltendieck, the band was surprised with their first Canadian Gold Single Award plaque by Universal Music Canada for their hit “Take It All Back” from their 2016 album Folk Hop N’ Roll. The band also visited Canadian cities Vancouver and Montreal on this tour. Watch the video for “Take It All Back” below.